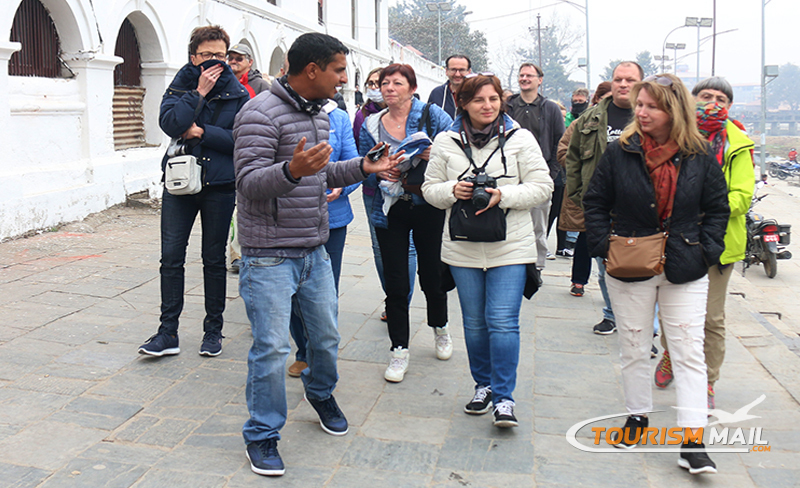 KATHMANDU, March 31: Nepal aims to welcome 1.5 million tourists in 2020 with one third of them coming from China and India, Nepal's Tourism Ministry has said. The Himalayan country is set to organize the year 2020 as Visit Nepal Year. It will be the third national level initiative to promote Nepal's tourism sector since the country first celebrated Visit Nepal Year in 1998 followed by the Nepal Tourism Year in 2011. In 2017, Nepal welcomed 940,218 foreign tourists. It expects a growth of foreign tourists by 30 percent every year since 2018 to meet the target of 1.5 million tourists by 2020. "China and India are two largest source markets for Nepal. But, there is still huge scope of more tourist arrivals from these two neighbours. So, our main focus of promotional activities will be China and India for Visit Nepal Year," Krishna Prasad Devkota, secretary at the Ministry of Culture, Tourism and Civil Aviation told Xinhua on Tuesday. "We have not set any target of tourist arrivals from China and India for the Visit Nepal Year 2020 so far. But, our tentative estimate is that there will be arrivals of 250,000 each from the two neighboring giants. In 2017, Nepal welcomed 104,664 Chinese and 160,832 Indian tourists." Other traditional source markets of Nepal's tourism are North America and the Europe. However, the country is also planning to explore new source markets including South East Asia and Eastern Europe. "We see great scope of attracting large number of tourists from these new source markets," said Deepak Raj Joshi, chief executive officer of Nepal Tourism Board, the main tourism promotion body. As the tourism sector is recovering from the twin disasters - deadly earthquake in 2015 and subsequent Indian economic blockade for nearly five months in 2015 and 2016, Nepali government has expected the Visit Nepal Year would be helpful to heavily boost the country's tourism sector. As a part of preparation for the Visit Nepal Year, the Nepali government has planned to organize road shows, promoting Nepal in three major cities of China and India in collaboration with tour operators of the two countries. On the other hand, Nepali government has planned to keep Nepal's only international airport, Tribhuvan International Airport in Kathmandu, open for more than 20 hours a day from current 17 hours a day in the next three months. The target is expected to be aided by the possible completion of another international airport, known as Gautam Buddha International Airport which is expected to be completed by 2019, in Bhairahawa, a southwestern town.